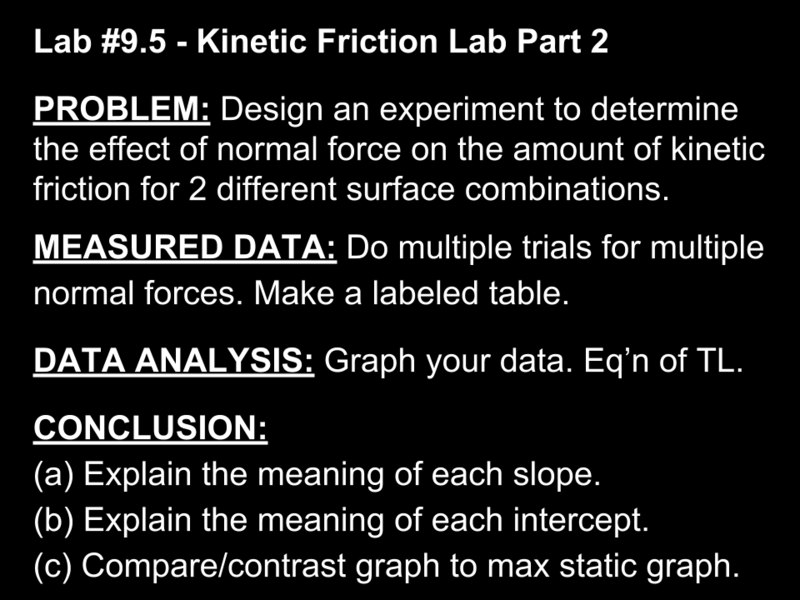 College-Prep Physics: Last Thursday, students investigated the factors that might affect kinetic friction and how kinetic friction compares to static friction. Today, students looked at the relationship between normal force and kinetic friction. Is the relationship proportional, like our previous experiments with static friction? 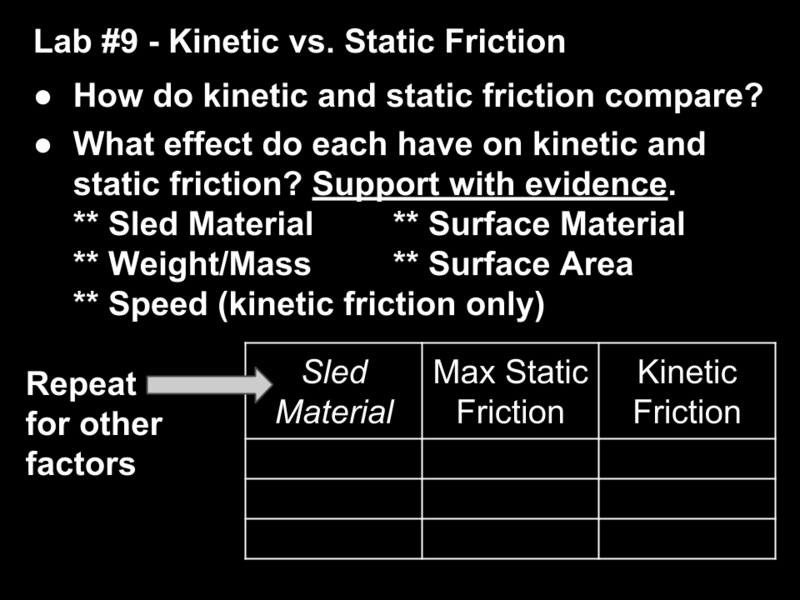 If so, how do the slopes for kinetic friction compare to that from our static friction experiment?